The Nomiku Immersion Circulator is the first wifi-connected sous vide device that lets you create and send recipes directly to the machine, and precisely control your temperature from your smart phone. 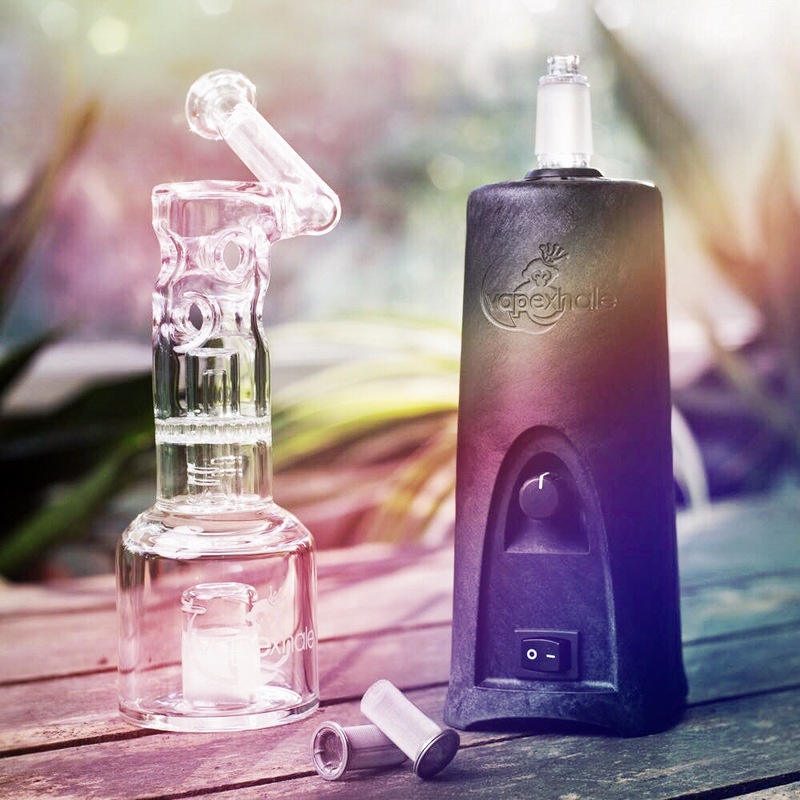 The NOVA Decarboxylator activates 100% of THC in your flower at the touch of a button. It's odorless and mess free, no cleanup necessary. It holds up to 1 ounce of flower or 5 ounces of kief making it easy to create strain specific edibles. Grobo One is a fully automated hydroponic grow box. It utilizes the latest technology and data to optimize the growth of your plants. Simply plug it in, plant your seed, select the recipe on the Grobo app, and let Grobo One hydroponic grow box do the growing. Grobo's sleek, modern design will look great in your living room or kitchen. Impressive yields. Minimal work. No knowledge required. The Joule is the smallest, sleekest sous vide tool available at just 11 inches tall and 1.3 pounds, with streamlined white body and solid stainless steel cap & base. It's wi-fi and bluetooth ready. Works with iPhone or Android—connect with Bluetooth alone, or cook from anywhere with wi-fi. The tCheck2 is a portable infusion potency tester used to collect live readings of your sample in minutes. Pair with the tCheck app to help you run tests, log your results, review previous results, use the CBV calculator to calculate the dose of your recipes, and more. Test your strains and keep track of what works best for you. You can get $25 off with the code 'SOUSWEED25’. For those looking for a smart device to make small batch oil infusions, meet LEVO II. You can prepare herbs with ease with the Dry and Decarboxylate cycles, allowing you to unlock the full potency. Like a sous vide machine, you can set precise time and temperature for the tastiest infusions. Wifi connectivity makes it easy to set your infusions and monitor progress on the go from the LEVO app. The Vapexhale EVO allows for all vaporizer lovers to leisurely enjoy the highest levels of potency with the smallest amounts material possible. The EVO is a premium desktop vaporizer that delivers the purest, most robust vapor. Pair with handcrafted glass mouthpieces for a deliciously flavorful, therapeutic experience. BUSINESS INSIDER calls it, “the best do-everything vaporizer on the market.” You can get 10% off with the code 'SOUSWEED10'.